UNIQA is a European insurance company that combines an Austrian identity with an international approach. We are building on traditions and experience accumulated over more than 150 years in the industry, and constantly adding new knowledge with an eye to the future. UNIQA Fine Art Insurance was created in 2002 and rapidly established itself as a trusted and progressive partner for individual collectors and art institutions across Europe, with offices in London, Vienna, Zurich, Vaduz, Budapest and Prague. As a result of its merger with AXA Austria (formerly Nordstern Versicherung), UNIQA Fine Art Insurance was able to build upon a solid foundation of art expertise and experience to become the market leader in Austria. The individual requirements of our customers are at the centre of all our actions. For their benefit, we combine strength, security, innovation and the highest standards of quality. You love art and invest much care, time and effort in your collection. You may own classical or contemporary works of art, antiquities or rarities, which are of particular value to you. 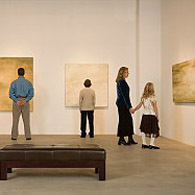 UNIQA Fine Art Insurance offers more than just security for the items in your collection. We provide your institution with comprehensive and competent advice and support. 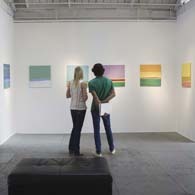 For short-term exhibition projects, we can rapidly ensure that the necessary insurance cover is in place. Our competent underwriters are on hand to deal with your specific questions and problems.